The Pi-Eta chapter of the Kappa Sigma Fraternity brought back several awards during the national fraternity’s 71st Biennial Grand Conclave, held last month in Las Vegas, Nev. 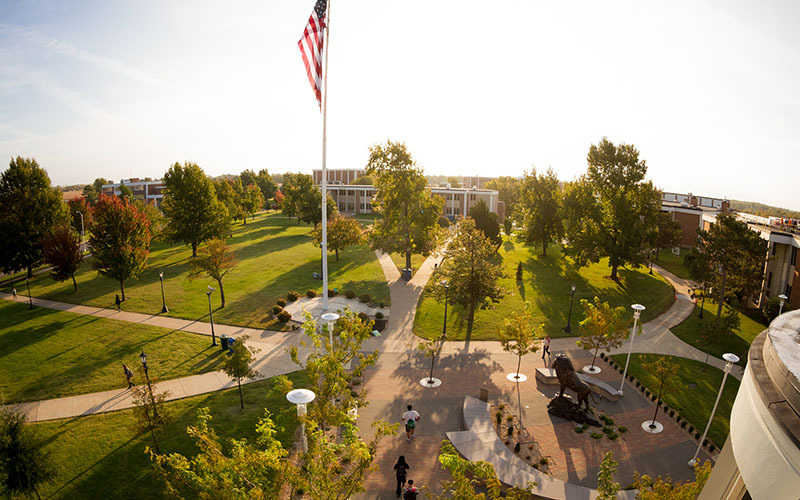 Among those awards, the Missouri Southern chapter was within the top 4 percent nationally for academic excellence. They received the 100% Ritually Proficient Award, as well as the Chapter Academic Excellence Award for the spring and fall semesters in 2016. Outstanding Grand Procurator Award: Johnny L. Presley, Jr.
During the 2015-17 biennium, national Kappa Sigma Fraternity members gave more than $6.7 million and served more than 1.4 million hours to their local charities and philanthropic efforts, including $676,000 for the Kappa Sigma Military Heroes Campaign. On Aug. 3, the Order of Omega – the Greek Honor Society at Missouri Southern – presented a check for more than $1,000 to the Boys & Girls Club of Southwest Missouri. The five Greek chapters at MSSU – Sigma Pi, Kappa Sigma, Kappa Alpha Order, Zeta Tau Alpha and Alpha Sigma Alpha – raised the funds during the annual Penny Wars event during Greek Week. The Order of Omega is a prestigious honor society that only admits the top 3 percent of members who excel academically and become leaders both on and off campus.